The Palmer Group » 9 Winchester Ave, Auburn MA 01501 – New Listing. 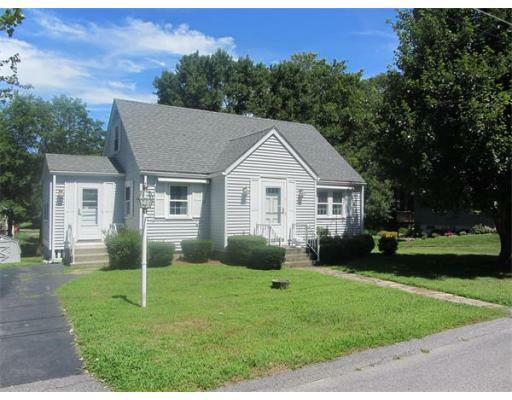 9 Winchester Ave, Auburn MA 01501 – New Listing. This is the one you’ve been waiting for. A well built and cared for Cape style home at a great entry to town price. Home has been updated including granite kitchen counters, energy efficient windows, a new roof, and maintenance free vinyl siding. The home radiates with natural light in every room and includes hardwood floors throughout, good size dining & living rooms, eat in kitchen, and a small sun room. Basement has a finished TV room, storage, laundry, and a walk out to the back yard. Two bedrooms upstairs with the upside potential to put in a second bathroom. Beautiful landscaped yard with a very large and level backyard for entertaining and a shed for additional storage. Home is looking to transition to new owners as the last ones enjoyed it for decades. Will not last long at this price in this premier location. SEARCH HOMES FOR SALE IN AUBURN NOW.